The 2014 Claret is a blend of 80% Cabernet Sauvignon, 17% Merlot and 3% Petit Verdot coming from Calistoga, Howell Mountain and Mt. Veeder. This represents 600 cases of a large-boned, virile, big, juicy blackcurrant and blackberry-scented and flavored Cabernet Sauvignon with some background toast, licorice and forest floor. 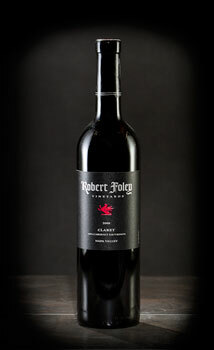 It has terrific richness, sweet, velvety tannin, and notable opulence and length. Drink it over the next 15 or so years. The 2014 Cabernet Sauvignon (100% Cabernet Sauvignon from Calistoga, Mt. Veeder and Atlas Peak) is essentially the same size, maybe slightly more concentrated, with more noticeable tannin, but again, much like most wines from this vintage, it possesses wonderful, charming, nearly irresistibly ripe, juicy fruit, succulence, opulence and a medium to full-bodied personality. Drink it over the next 12-15 years.